First Aid for up to 10 persons in the mezzo dispenser. This meets the minimum approved code of practice. HSE compliant. 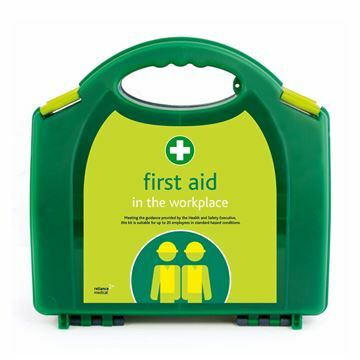 20 Person HSE workplace first aid kit. 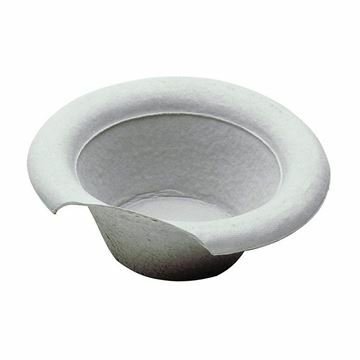 Disposable pulp vomit bowl for general purpose use in surgeries, hospitals and care homes. 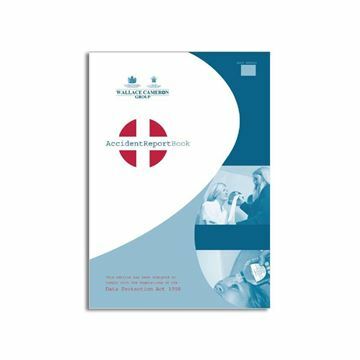 Keep health and safety in the workplace in check with this accident report book. Designed to comply with the Data Protection Act 1998, this paperback book will record accident details in a consistent manner. Recording accident information is part of healthy and safety management for any organisation. 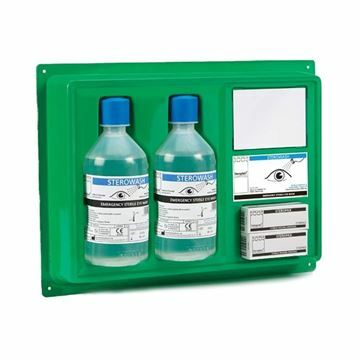 These eyewash pods are specifically designed to remove dust, grit or contaminants from the eye in any environment when running tap water is not immediately available. 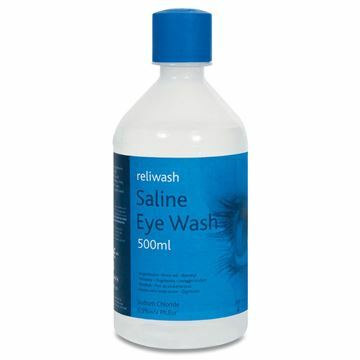 This makes these Eyewash Pods ideal for working outdoors or as a safety measure while travelling in dusty environments. 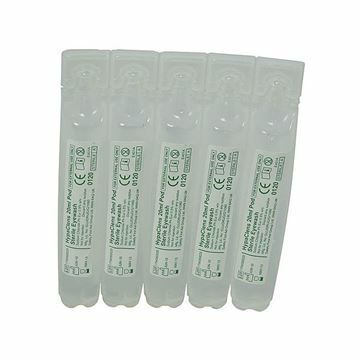 Each individual single-use 20ml pod contains a sterile saline solution (0.9% sodium chloride), effectively removing common contaminants from the eye. Easy to use dispenser with a durable and pilferproof design. 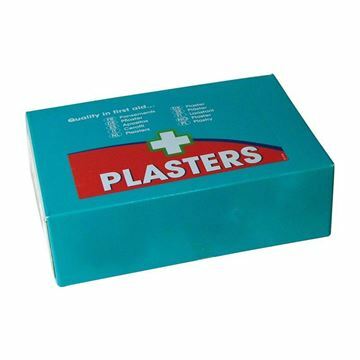 Waterproof plasters are a must have for your home, workplace or when you're travelling. Having plasters at the ready in the workplace, at home, on holiday or in the car will make all of the difference to a speedy recovery if any accidents occur. Simple first aid measures can help reduce the risk of infection or further damage quickly and effectively. 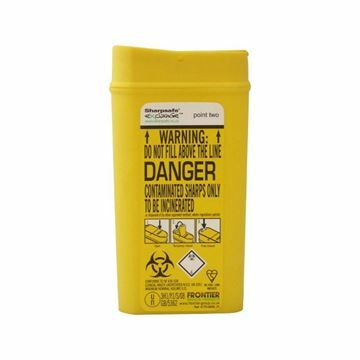 Designed specifically for the disposal of insulin syringes, the 0.2 Litre can be easily stored in a bag or pocket and is ideal for both personal and clinical use. 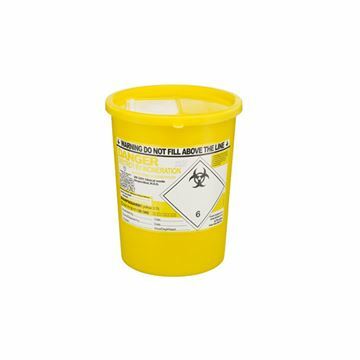 Plastic container and lid for the safe containment of contaminated hypodermic needles. 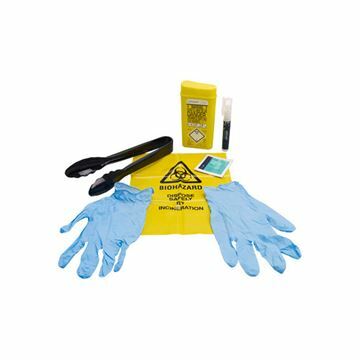 Effectively aids the removal, containment, disinfection and disposal of discarded needles and syringes.